That’s right: only 70 percent of Americans concur with the premise of the Declaration of Independence as it’s literally written. If it’s any consolation to some perplexed that the results weren’t 100 percent, consider this: only 66 percent responded “Agree” in 2011 and a paltry 56 percent in 2008. During the Revolution itself? Historians estimate only 40 percent of free men supported declaring independence from Great Britain. We’re still catching up to an idea that shook the world 242 years ago. Where to go from here? How do we deliver on the Founders’ promise of a government with the consent of the governed? Voter participation polls show that the inverse is just as, if not, more accurate: Our democracy is not working because most Americans have no reason to vote and participate in our country's most important election. And that is because of the way we chose our presidents. The current systems prevents voters in the vast majority of states from picking the winner. Instead the election is decided in a handful of states where the election will be close. Americans turn out to vote in the few states where they know their votes will make a difference. 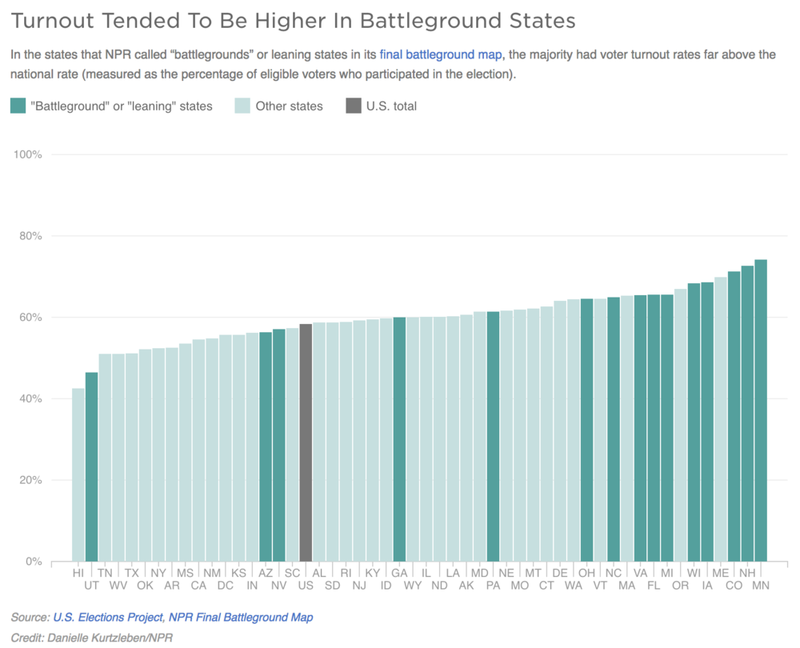 Likewise, significantly fewer voters turn out in states where it will not. On the other hand, a National Popular Vote would make every vote count equally. Candidates would finally have to campaign in all 50 states as well as stress the need for policies that benefited voters everywhere. The Founders did not choose their presidents with the winner-takes-all system. That’s one of the reasons the method of counting votes is neither mentioned in the Declaration of Independence (the Presidency would come later) nor in the Constitution itself. But do we have the opportunity now to fill in the blank.